When you are sure that Windows is detecting the Firewire; the next step is to verify if your hardware drivers are correctly installed. If this is not correctly installed, your hardware will not work properly (e.g. Firewire audio interface). Don’t panic. Windows will automatically search for drivers in your PC and in the event of driver corruption or problem, Windows can reinstall the drivers. If you see a message “Welcome to the Found New Hardware Wizard“, click “Not this time“. Or select the option “Install the software automatically (recommended).” In this method, Windows will attempt to search for the working drivers for your Firewire hardware and restore it. I have used this feature before and it is really useful. 1.) The Firewire LED indicator is on. In most Firewire audio interface there is a Firewire LED indicator. If this is lit, it means that Firewire is active and working. 2.) The playback and recording works properly. You won’t be hearing pops and clicks or any distortion in the playback/recording. 1.) Visit the manufacturer website of your Firewire audio interface and download/install the latest drivers. 2.) If re-installation using latest drivers won’t work, ask the technical support team of your Firewire audio interface. If you are selecting between an onboard or PCI Firewire; it is wise to check the type of Firewire chipset first that is compatible with your Firewire audio interface. For example, Firewire audio interface manufacturers like Focusrite has some recommendations when it comes to optimal chipsets. You can find it in this document. Both motherboard Firewire and PCI Firewire will work as long as you have compatible chipsets. For example, in my ASUS motherboard I have Belkin Firewire that is compatible with Focusrite Firewire audio interface. I am currently using this one. What can possibly damage a Firewire? 1.) It is not advisable to disconnect the connected Firewire hardware while your operating system is running. 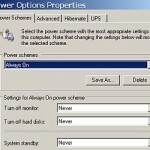 You should shut down your operating system first before disconnecting the device. 2.) If you have a connected Firewire audio interface to the Firewire port that is not running; it is wise to disconnect it. 3.) It is not advisable to connect a Firewire powered device (like a Firewire audio interface) in the Firewire port of your computer while the operating system is running. 4.) It is advisable to turn off your Firewire audio interface only if the computer is turn off. Turning it off while the OS is running would make sense, but for me this is not a good practice. 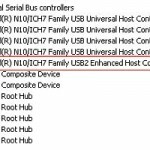 Can I replace a damaged motherboard built-in Firewire? No, the simplest solution would be to buy an external Firewire solution like PCI. Make sure that it is compatible with your audio interface. Can quality of the Firewire affects the quality of my recording? Yes, if you are using an incompatible Firewire chipset, chances are your audio interface is not running at optimal condition. You should be using compatible Firewire with the audio interface that you are going to connect. a.) Disable the device. During reboot Windows will attempt to find the device and then reinstall the drivers either from your own PC or the one that you will provide. b.) Uninstall and reinstall the drivers. If you have the copy of the Firewire drivers provided by the manufacturer, you can use it to reinstall.